This year SEP moves to a new home! 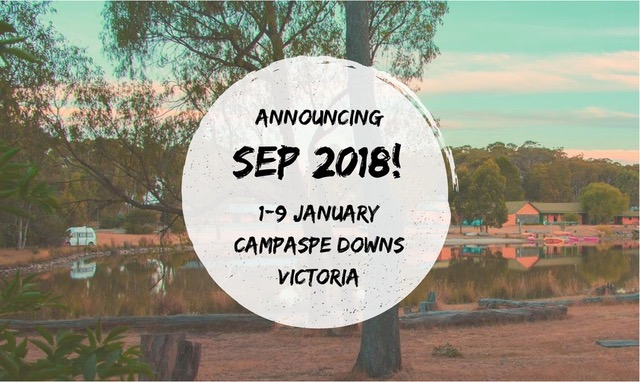 In fact, we're returning to a much-loved stomping ground of previous SEP generations: Campaspe Downs in Kyneton, Victoria! The last time we held camp at Campaspe, '90s fashion was all the rage... but thankfully the SEP spirit is timeless. The campsite has an outdoor oval, an indoor basketball court, and an indoor pool for some additional activities this SEP. We can't wait to share this campsite with a whole new generation of SEP campers. Join us 1 - 9 January 2018 for the best week of your summer! Staff and camper applications will be released mid-year. Check this page and the GCI Youth Facebook page for updates! Any questions? Email sep@gci.org.au - we would love to hear from you!